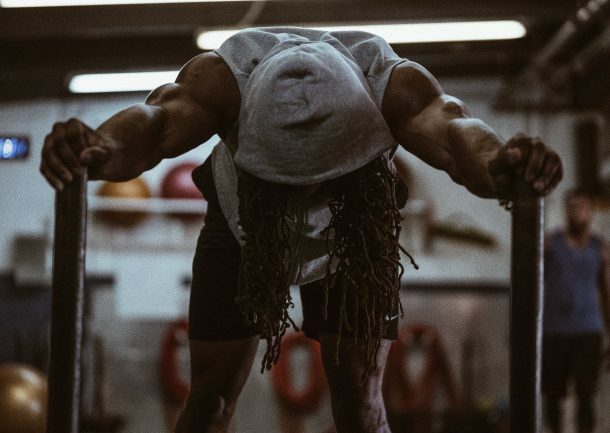 Concurrent training is a form of periodisation that involves the combination of both endurance and resistance exercise to bring about favourable adaptations to build muscle, strength alongside improving cardiovascular fitness. Therefore, concurrent training is utilised by many athletes whose sport requires the use of different energy systems and a variety of physical attributes, i.e. sports that demand the athlete to be able to be strong, powerful, and fast whilst being able to have excellent cardiovascular fitness – team sports and athletic events such as Heptathlon will heavily rely on this modality of training. It was reported in the 1980’s that performing endurance and resistance exercise within close proximity could cause ‘training interference’ which becomes apparent at the eight week mark. More specifically, it was demonstrated that cycling immediately post weight training impaired strength gains when comparing to gains obtained from strength training alone. Since the primary objective of every training session is to drive the training adaptation to get bigger, faster, fitter and stronger – it has been suggested that performing the two modes of exercise back to back will be counterproductive for strength and muscle hypertrophy. At the cellular level, adaptations from endurance and resistance training are driven through two different mechanistic pathways. When you perform endurance exercise an increase in the AMPK enzyme is primarily required to activate an endurance specific training adaptation. Furthermore, higher intensity exercise increases the rate of ATP turnover and a greater activation of AMPK is observed. Interestingly, the increase in AMPK has been proposed to blunt the anabolic pathway; mTOR which is required to build muscle. Henceforth, interference occurs if both pathways are ‘switched on’ at the same time. I.e. AMPK causes catabolic processes, where mTOR causes anabolic processes. Contradictory, some studies have demonstrated increases in both endurance and strength gains – therefore it is important to note that something else may be going on alongside the signalling pathways and that many other factors can come into play, such as; training status – training experience increases interference, order of exercise performed, the mode of endurance training and the duration of the training cycle. Energy balance, i.e. energy status can amplify the training adaptation from a given exercise session. The AMPK and endurance adaptation is enhanced when calorie intake is restricted (negative energy balance) where mTOR and muscle hypertrophy is enhanced when calories are elevated (positive energy balance). Furthermore, specific nutrition interventions can be used to further drive the training adaptation from different sessions, i.e. an approach to maximise gains in muscle and strength would differ to an approach to amplify the endurance adaptation. Therefore, separating endurance and resistance exercise would be most beneficial to maximise the response from each session and reduce the likeliness of interference. In this instance, the hypothetical ‘optimal’ model would be to perform endurance exercise in the morning with reduced energy availability and introduce resistance exercise in the evening with high energy availability. Granted, optimal may not be practical for many but understanding the theoretical framework and best practice can help periodise nutrition to different training schedules. As mentioned, to enhance the endurance training response it is recommended to perform cardiovascular exercise in the morning with low energy availability. I.e. ‘Train Low’ would be best practice as the increased cellular stress would allow for a more favourable environment to drive the training adaptation. The ins and outs of ‘Train Low’ are beyond the scope of this article, therefore to see in full regarding its potential benefits and recommendations – please see a previous post on the topic: Carbohydrate Cycling and Endurance Performance: Train Low, Compete High Surrounding the morning session, protein ingestion would be advisable to offset the catabolic effects of fasted exercise – muscle breakdown and aid with muscle remodelling. As energy intake needs to remain low during this period, It would be recommend to either consume a whey protein shake or branch chain amino acids as opposed to a protein containing meal; such as eggs. Upon completion of the morning cardiovascular session, it would be pragmatic to withhold the provision of carbohydrates for approximately 3 hours to allow for pro-adaptive signals to be fully activated. However, this is somewhat speculative at the moment as research in this area is in its infant stages. To facilitate gains in muscle strength and size, an adequate supply of energy is required through carbohydrate intake. Therefore, in the hours leading up to the evening gym session, a higher carbohydrate and calorie intake would be required. This will be conducive for a more anabolic environment which will favour muscle and strength gains. For example, under periods of higher training loads a carbohydrate intake of approximately 5 grams per kilogramme of bodyweight may be required – Approx. 400g for an 80kg athlete. Therefore, the total daily intake of 400g would then become loaded in the afternoon/evening, essentially sandwiching the session with a high amount of carbohydrates. As this intake is relatively high, the type and timing of carbohydrate ingestion will be very much preference orientated. As mentioned, protein intake is required to maximise the potential of muscle gains and strength. Short term studies would suggest that a higher and evenly distributing protein intake throughout the day may lead to superior rates of muscle protein synthesis and subsequently gains in muscle hypertrophy. For an in depth review on how to optimise meal frequency and protein intake for muscle gain, check out my free downloadable resource that can be found below. For those with time constraints, here’s the cliff note on protein intake to maximise gains. Once protein is consumed in the correct dose, it stimulates the mechanisms responsible for muscle growth. This mechanism is referred to as muscle protein synthesis, or MPS for short. Once MPS has been stimulated, it remains ‘switched on’ for approx. 3 hours in smaller meals, and 5-6 hours in larger calorie containing meals. Consuming another protein meal within this window will not further increase MPS despite the provision of amino acids – This is known as the ‘muscle full’ effect or refractory period. MPS resembles a light switch – once you’ve turned a light switch on, you can’t press the button harder to make the light shine brighter. You have to wait until it is ‘turned off’ before turning it back on again. Similar to consuming protein, once the mechanisms are switched on, they’re on. You need a sufficient dose of high quality protein in order to maximally stimulate MPS . The dose and type of protein required can be found in the free download. Since MPS is ‘turned on’ for approx. 3-5 hours after protein is consumed – The aim will be to have 3-5 protein rich meals per day to maximise the daily ability to build muscle. By default, this leads to a high(er) meal frequency. Therefore, the more frequently MPS can be stimulated, the better – as each time you stimulate MPS, you initiate muscle growth. However, be mindful of the ‘switch’ analogy. As nutrition interventions to support concurrent training are a new and exciting topic, relatively little data exists that suggests how you would implement such an approach. However, a review paper by Perez-Schindler et al (2015) would suggest that the following approach is the best possible practice regarding its implementation. To maximise the endurance training adaptation, adopt the ‘train low’ approach and perform cardiovascular exercise on low energy availability to increase cellular stress. Performing cardiovascular exercise in the morning would be advantageous. Withhold carbohydrates for a few hours post cardiovascular exercise to amplify the training adaptation. To maximise the strength and hypertrophy adaptation, perform resistance exercise with adequate calories and carbohydrates surround the session. High energy availability would favour a more anabolic environment for muscle growth and strength gains alongside improving training performance. Once a muscle has been resistance trained, it is sensitised to protein intake for 24-48 hours. Therefore the provision of protein during this period is essential to capitalise on the training adaptation. Consume protein in an adequate dose that is evenly distributed throughout the day.